This was the eith weekly meeting for WordPress Translation Day 4 (Saturday, May 11, 2019). Here’s the meeting archive link. @xkon will continue working on the overall page and media, speakers, etc. @afsana asked: Can one city host multiple events without causing conflict on the site? Answer: Yes. But submit the local event form for each event to be properly listed on the site. @gounder said they received a couple of speaker applications and hoping for a few more through some reach out, but are still far from our target. Please contact @nao if teams need more hands or volunteers want to help out more – she will coordinate to close the gap. Next meeting time is Tuesday, April 2, 2019, 1:00 PM GMT in #polyglots-events. This was the seventh weekly meeting for WordPress Translation Day 4 (Saturday, May 11, 2019). Here’s the meeting archive link. Social media announcements/setup (may be posting in multi-language if possible). Please share & follow! Please file all docs/assets for the event under our Google Drive folder. Always refer to the event date as “May 11” not 11/5 or 5/11 to avoid confusion. This was the sixth weekly meeting for WordPress Translation Day 4 (Saturday, May 11, 2019). Here’s the meeting archive link. Please file all docs/assets under the Google Drive folder for the event. If you need to access the event’s Trello board & staging website, please ask. 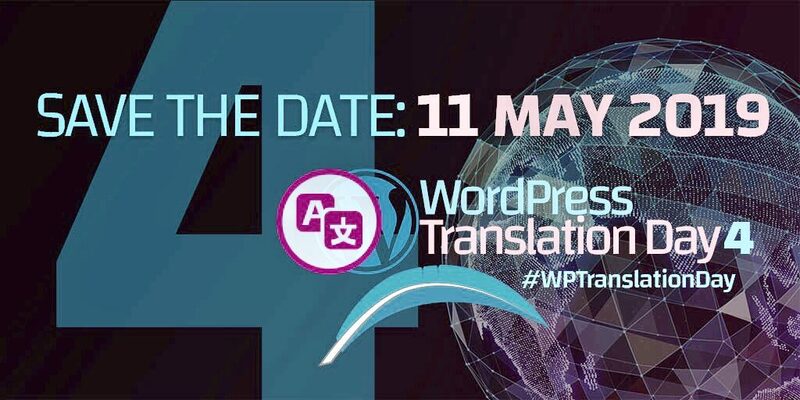 The official event title is “WordPress Translation Day 4” (“Global” is removed) and social media hashtag is #WPTranslationDay. Join us in Slack #polyglots-events if you have questions and feedback. Next meeting is Wednesday, March 20, 2019, 6:00 AM GMT. 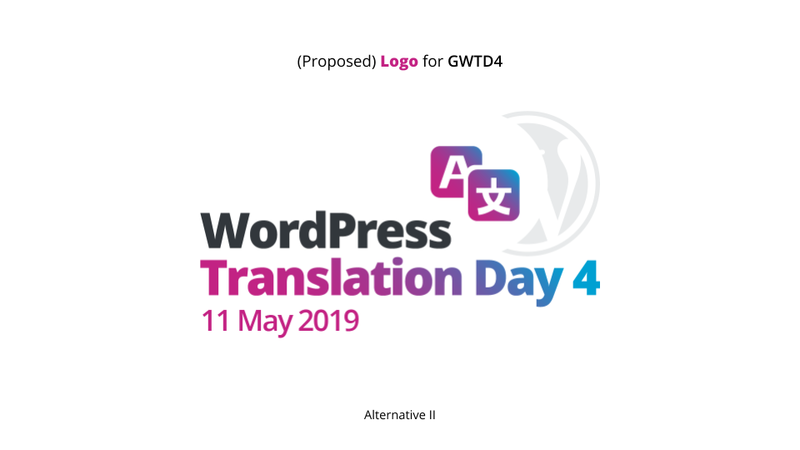 This was the fifth weekly meeting for WordPress Translation Day 4 (Saturday, May 11, 2019) Here’s the meeting archive link. (This post includes some discussionn before & after the meeting as well). Make sure to join & follow the event’s Trello board. Ask @webcommsat or @nao for access. @zetaraffix shared 2 mocks for the front page and asked for feedback. I would like to focus on pushing the data visualization as much as we can, giving last year’s work an updated look but without wasting too much time on disruption. The team continued discussion after the meeting about the direction. @xkon said to work on the structure (basic setup is the same as last year) + extra pages by the end of the week. March 9th is the expected date for getting application forms for local event organizers and speakers ready on the live site. @tobifjellner‘s idea: collect i18n questions from developers (on the wptranslationday.org website?) and have an interactive Q&A/AMA panel. @jordicuevas is working on call for local event organizers P2 post and will be sharing the draft (Google Docs) with @webcommsat. Post to be published after the initial site launch since application form link needs to be live. @zetaraffix shared a rough timeline doc with dates for web/comm/design teams. Onboarding schedule and deadlines for calls/selections/content are to be added. Please add comments. 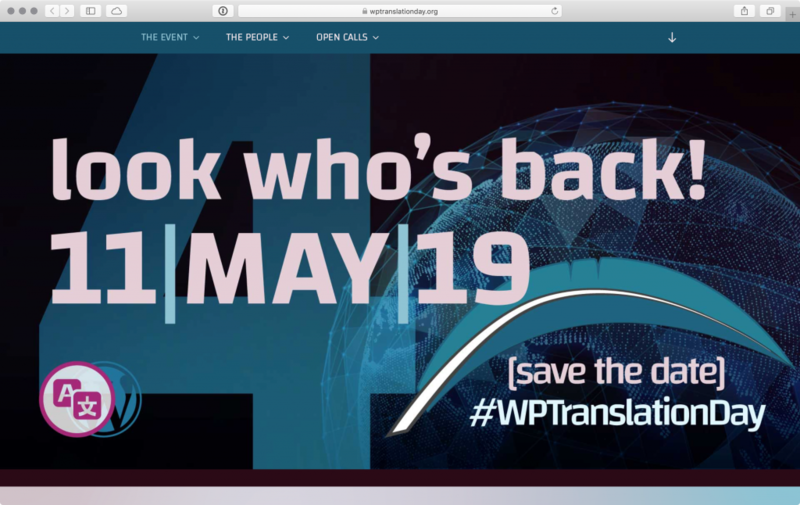 Save the date – Saturday, 11 May 2019 will be the 4th edition of Global WordPress Translation Day (GWTD4). This 24-hour global event will be dedicated to the translation of all things WordPress, from core to themes, and from plugins to marketing. The event will be a celebration of the Make WordPress Polyglots Team, shining a spotlight on the thousands of volunteers worldwide who give their time and skills to make this online platform available to even more people. During the last Global WordPress Translation Day, 71 local events took place worldwide, involving 29 countries. More information including minutes from the planning meetings will be published on Make WordPress Polyglots P2 under #GWTD4 tag in the coming weeks. Also, you can keep connected via the @TranslateWP twitter account. If you are interested in helping with this event or following the discussion, you can also follow WordPress Slack polygots-events channel. @tobifjellner – said he can coordinate speakers and topics. work on the speaker/local event application forms and privacy statement. Have a meetup template setup. link the call for speakers and organize event google forms in the march MeetUp newsletter. The Outreach/Mentor team will get the call for organizers for the next planning meeting. The design team will review the theme and layout from GWTD3 WordPress, and being aware of brand building propose a change in the color schema and typography. @nao, @webcommsat, @jordicueuas, @tobifjellner, @Stefano76, @zetaraffix, @audrasjb, @ibdz, @xkon. @casiepa (asynchronous). One of our main goals for GWTD is to get more people involved in translating. But just posting call for meetup organizers isn’t usually enough. Marketing/ Communications – Discussion on finding to capture data from this research and to identify the GTEs who needed operational and marketing information, and for this to be done in a good data handling manner. This could also be used for enabling them to offer marketing ideas, advise of their promotions and provide quotes or short videos for the wider publicity. Discussion of where could store paperwork in draft, visual assets to be of more use to the existing planning, GWTD4 and future events. Discussion on whether there was a shared MakeWordPress area, if the MakeWordPress website had a system of collating form information easily in the same way as WordCamps websites for processing requests for RSS feeds or volunteer submissions. Post meeting, @casiepa shared a link to a Google shared folder for the current team. A trello board has been created in draft by @abhanonstopnewsuk which captured communications and marketing elements emerging. Contact her to be added to the board with your Trello ID and email address it is inked. Sub groups can create tools which assist them as long as they are linked, where appropriate, from the main organization channels. 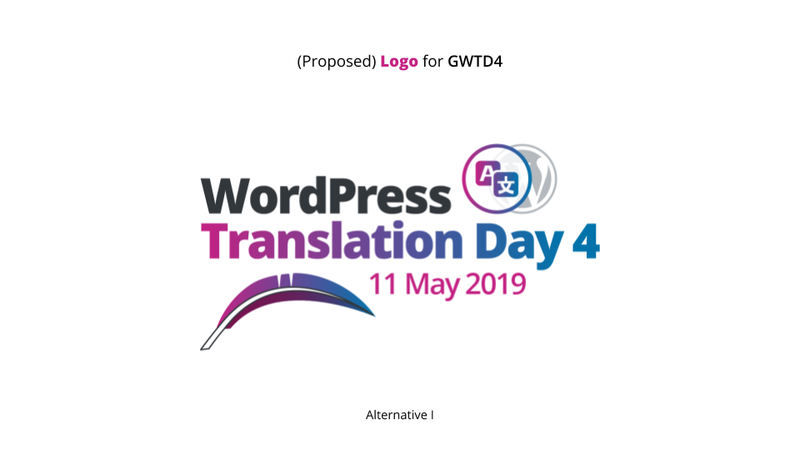 The second meeting for Global WordPress Translation Day 4 (GWTD4, Saturday, May 11, 2019) started at 13:00 UTC and was closed at 14:15 (meeting archive). Design/Communication Teams are combined (background). Live Stream Content Team is small, so you’re welcome to help them out and/or switch over to the team. The role is similar to session team for WordCamps. Teams are encouraged to have meetings and discussions on #polyglots-events Slack channel. Next weekly meeting will be on February 19, 2019 13:00 UTC in #polyglots-events. This was the first meeting to set up the team and consolidate decisions for the next edition of Global WordPress Translation Day, the 4th (GWTD4). After some discussion, an agreement was reached on the date: GWTD4 will be on Saturday, May 11, 2019. A Google spreadsheet has been open for some time now for volunteers, teams and leads will be confirmed and official list disclosed in next meeting (February 12, 2019 13:00 UTC in #polyglots-events. Meeting started at 13:00 UTC and was closed at 14:30 (#). After Global WordPress Translation Day 1 (GWTD1) in April 2016, GWTD2 in November 2016, and GWTD3 in September 2017, we took a break last year. 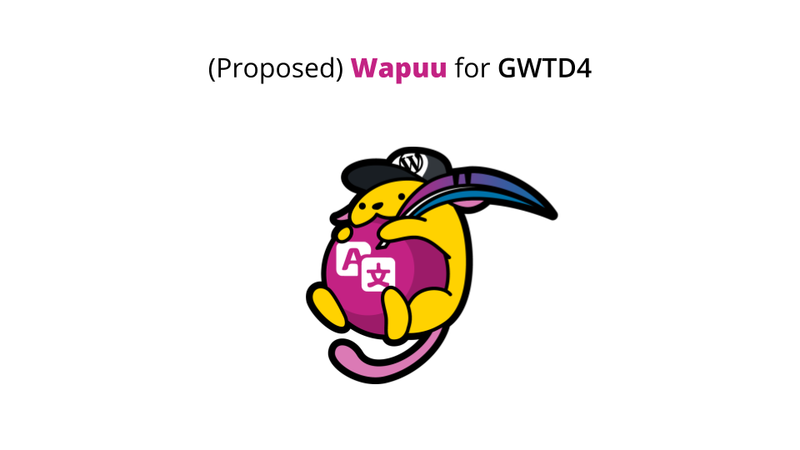 But the good news is here… GWTD4 planning is back on track! Let’s work together to organize a global event, where we learn more about and improve WordPress translation. This is an official call for organizers. What is Global WordPress Translation Day (GWTD)? Offline & online translation contributor day events, hosted by local meetup organizers. Live stream on Crowdcast, hosted by polyglots team volunteers and local event attendees. You can check out more posts on event planning and announcements through #GWTD tag. When should we organize the next event? September 30 was chosen last year because that date was declared as the International Translation Day by the United Nations General Assembly in May 2017. There are some comments on Slack #polyglots-events that it will be too short of notice for us to start organizing the event now and having the event on Sept 30 again this year. Maybe mid- to late-October could be a possibility? Offline & online translation contributor day events are the core of the Translation Day, when we all work on translating WordPress core and related project all around the world. What kinds of live-streaming contents are useful/meaningful? Type of speakers: GTEs, PTEs, translators with special skills, plugin/theme authors, meta developers, GlotPress developers, others? If you have any thoughts or would like to be involved in the planning/organizing, please leave a comment on this post. (Edit) We had these roles last year. The list may change because we are still determining the scope of the event – sharing just for FYI go get some ideas. You can also join the Slack #polyglots-events for discussion. Here’s an agenda for the chats this week. Call for local translation events is open. By the way, make sure to register your local events in such a way that they’ll show up in the admin area of WordPress users in your neighborhood. Here’s an agenda for the chat today. String freeze for WordPress 4.8.1. The release should have happened yesterday, but was postponed by one day. Many locales are already at 100% on the dev project, but quite a few still need to catch up. There are only some 10 strings new, so if you released 4.8, then this is a relatively quick task. Make sure that your locale is at 100%! It is happening again! On September 30th, international translation day, we’re inviting everyone who wants to help translate WordPress, themes, and plugins into their own language, to join us for a 24-hour global translation sprint! 24 hours of live streaming sessions dedicated to different topics around WordPress localization and internationalization (L10n and i18n). Everyone who would like to learn how translations work in WordPress and get a general idea of the work of the Polyglots team. Please see all relevant details on our event website. To have fun and get to know each other better. To educate existing translation contributors and project translation editors to reduce the amount of waiting strings. To educate translation editors to use the existing tools to improve the experience. Translate – Just join us on September 30th in your own timezone and translate WordPress or your favorite plugins and themes to your language at http://translate.wordpress.org and perhaps even see your translation go live on your own WordPress site. Join the organizing team of Global WordPress Translation Day – simply join the special slack channel! Looking forward to contributing with you. Happy translating! String freeze for WordPress 4.8.1. There are a few new strings in WordPress that need to be translated before launch of WordPress 4.8.1. Make sure that your locale is at 100%!